"As I read the final pages of Recreating Eden, I found myself flooded with a sense of wonder — a part of something magnificent. I am filled with a sense of renewed hope!" I was blown away by the message in Julia's book and I believe it represents the highest frequency knowledge you'll ever know...No re-hashing of basic spiritual concepts—this is original stuff and surely direct from Spirit...I found this to be a very clever, original, and enlightening book and I feel blessed to have discovered it. I'm also grateful to Julia for sharing this amazing knowledge with the world." 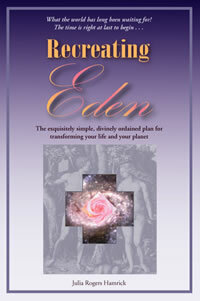 Recreating Eden is a truly amazing book. As a former life coach interested in spirituality, I've read a lot of self-help books, personal growth books, and books about all types of spirituality. 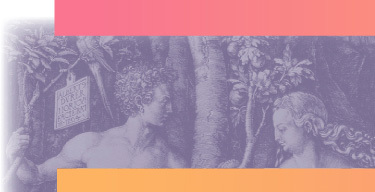 Recreating Eden is a keeper—and unique in the genre. The experience of reading the book is itself an "upper." Positive energy emanates from it—I know that sounds weird, but it's true. It is written in an open, honest, easy to understand style while describing profound spiritual truths. The author writes that the ideas from the book are not her own, but ones that came to her—divinely inspired—as she wrote. Although this sounds woo woo, the book manages to be grounded, common sense-ical, and inspirational..."